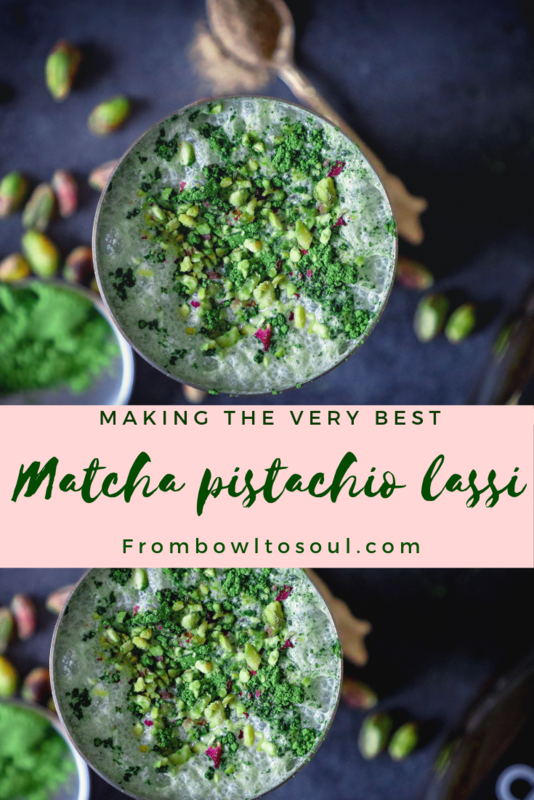 Summers are knocking- Try this Matcha Pistachio Lassi, a refreshing and healthy mix of yoghurt, milk, pistachios and matcha. Lassi has been dawning upon my mind, since i posted a post on instagram few weeks back. I was writing about Amritsari breakfast in my post, and how a Sunday in Amritsar (My hometown in India) is incomplete without drowning in a glass of lassi in Punjab(India). And then all i wanted was , to have Lassi. Authentic lassi is a blend of homemade curd/ yoghurt, milk, ice and sweetener (sugar). It is topped with a dollop of Malai (homemade cream), or white homemade butter. Lassi is traditionally made using a hand churner called madhani. Thanks to technology we have electrical churners now (our very on blenders). The task of blending is so very easier and quicker. Lassi is considered the healthiest drinks to be had in summers. Why ? nothing can beat the taste of this chilled creamy refresher (and i would seriously not argue on this ). Adding a little malai( homemade cream, or clotted cream), while blending lassi makes it more creamy. If you want to indulge, do add a little cream. Traditionally lassi is a combination of yoghurt and milk, but if you want to make a lighter version, add water in place of milk, or use half water, half milk. For sweetening you can use regular sugar, honey, maple syrup, or any sweetener you prefer. Not a typical version of Lassi today. 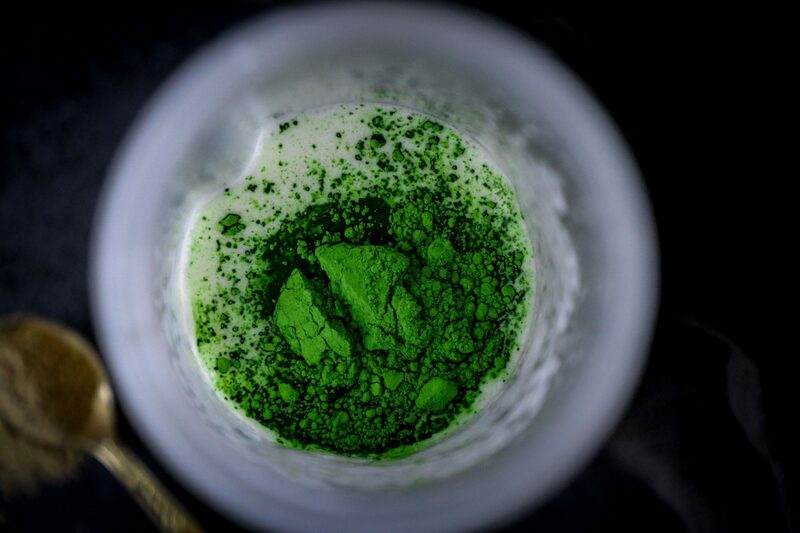 Off late i have been cooking and experimenting a lot with Matcha, and have been thinking of creating different recipes using this super healthy ingredient.. 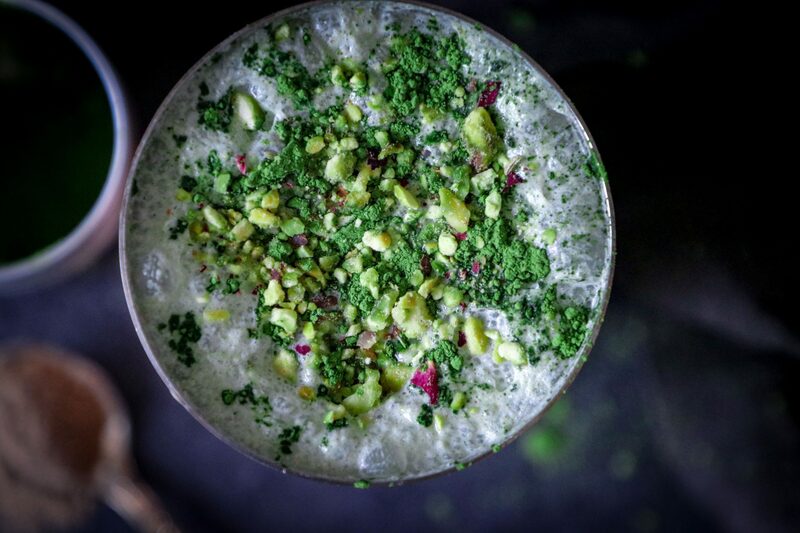 This one came to my mind, while i was making my regular pistachio lassi, that i often usually make in summers. sweetener- I used maple syrup in the recipe. You can use sugar, honey, or any sweetener of your choice. In a blender add 1/4 qty of yoghurt (You can use homemade curd, or store bought. 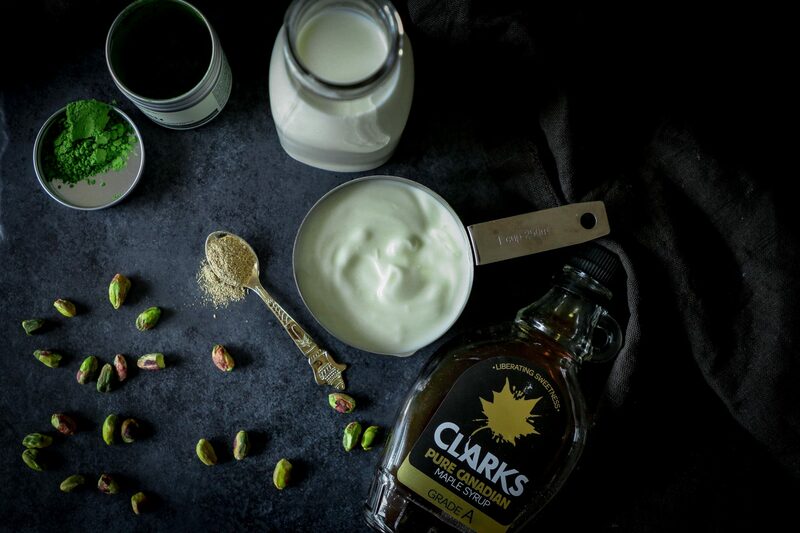 I use Natural Organic yeovalley yoghurt) , and pistachios. Blend these , till pistachios are ground well. 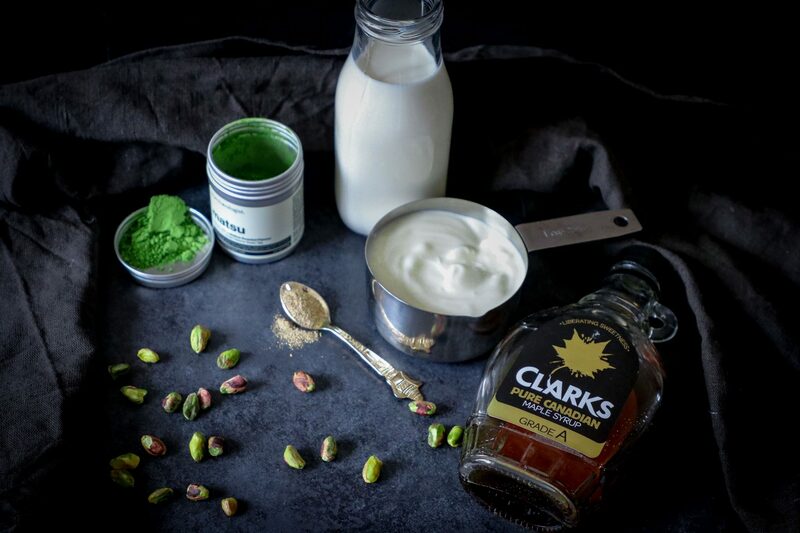 Now add rest of the ingredients – rest of the yoghurt, milk, cardamom powder, sweetener , matcha powder and ice. 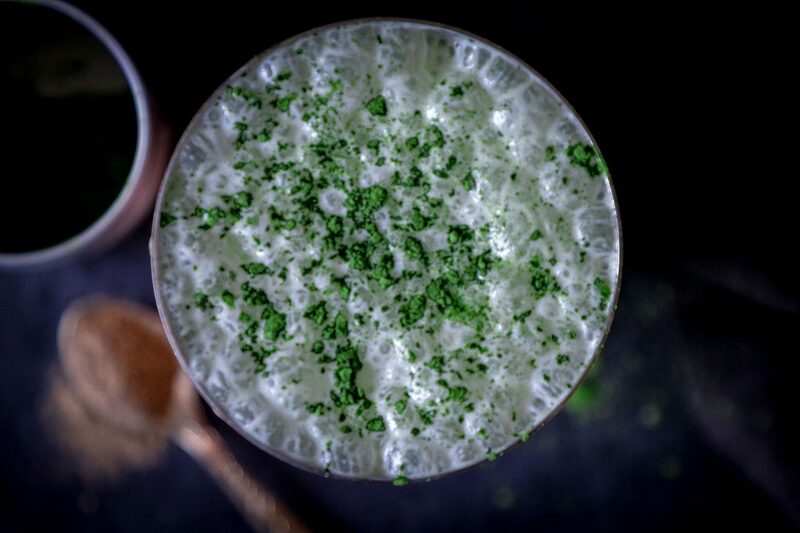 Your Matcha pistachio lassi is ready. Pour chilled lassi in glasses. Top it with a dollop of cream(Use malai if available or use clotted cream) . 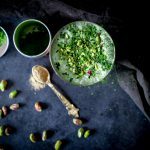 Sprinkle chopped pistachios, and matcha powder, and serve. If you try this recipe, please rate it by clicking the stars below. And don’t forget to like , share the recipe and tag us on Instagram or Facebook using #frombowltosoul . Please Comment below for any queries, suggestions and ideas . I would love to hear from you. More summer drinks on the blog- Sparkling aam Panna, Classic aam panna, Plum refresher. 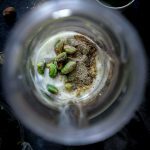 In a blender add 1/4 qty of yoghurt , and pistachios. 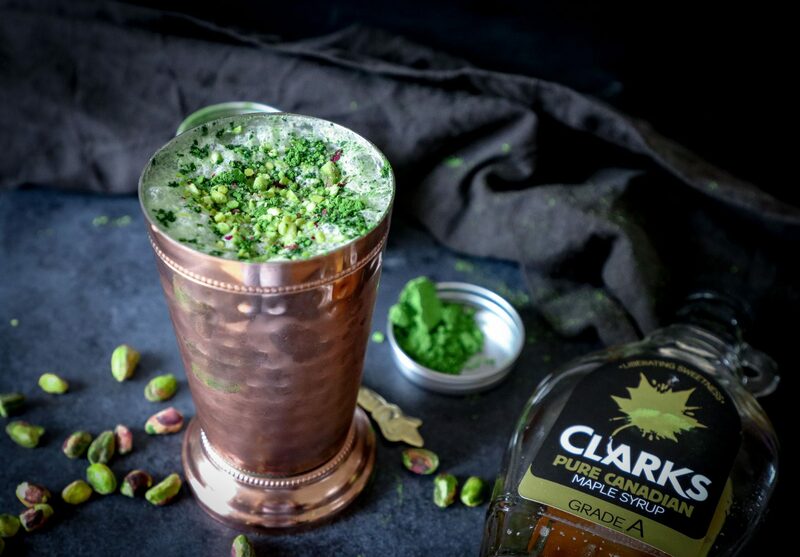 Blend till pistachios are ground well. 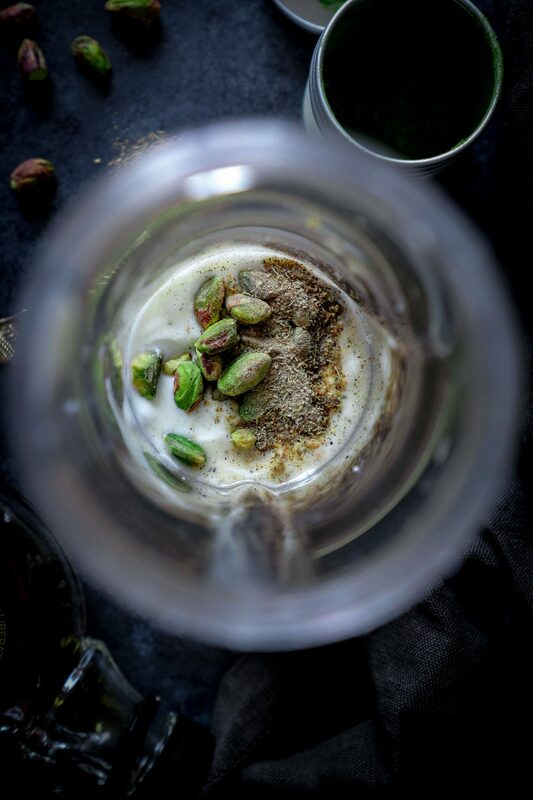 Now add rest of the ingredients – rest of the yoghurt, milk, cardamom powder, honey , matcha powder and ice. Blend for 2-3 minutes. 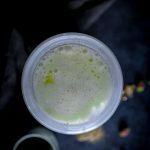 Pistachio matcha lassi is ready. Pour chilled lassi in tall glasses. Top it with a dollop of cream/white butter . 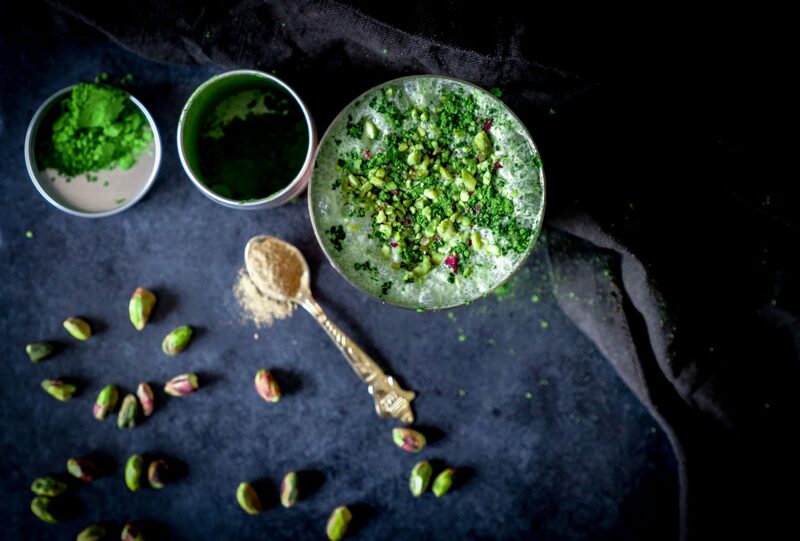 Sprinkle chopped pistachios, and matcha powder, and serve. For sweetening i used honey, you can use regular refined or unrefined sugar, honey, maple syrup, or any sweetener you prefer.